I’ve just completed two table runners made with the Indigo fabrics I hand dyed in May. This piece is white cotton that was folded in half, wrapped around a pole, and dyed with Indigo. 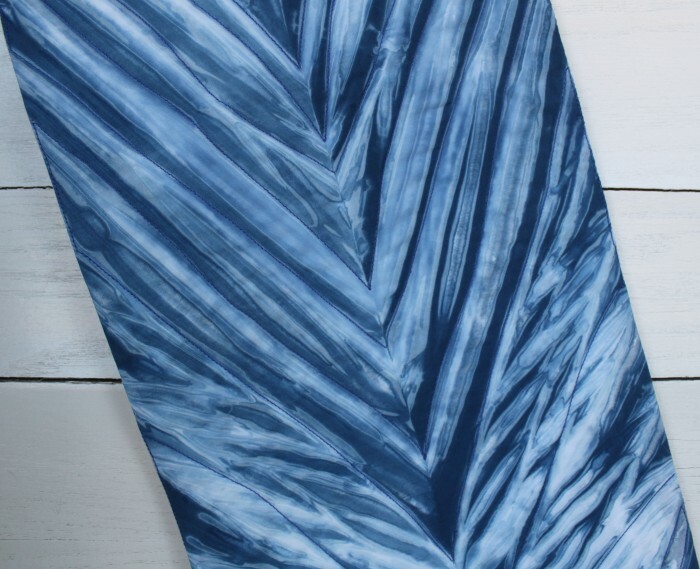 The table runner is backed with a cotton/linen blend and machine quilted following the flowing lines of the Arashi Shibori. I love the look of this piece. It reminds me of water moving in a stream. 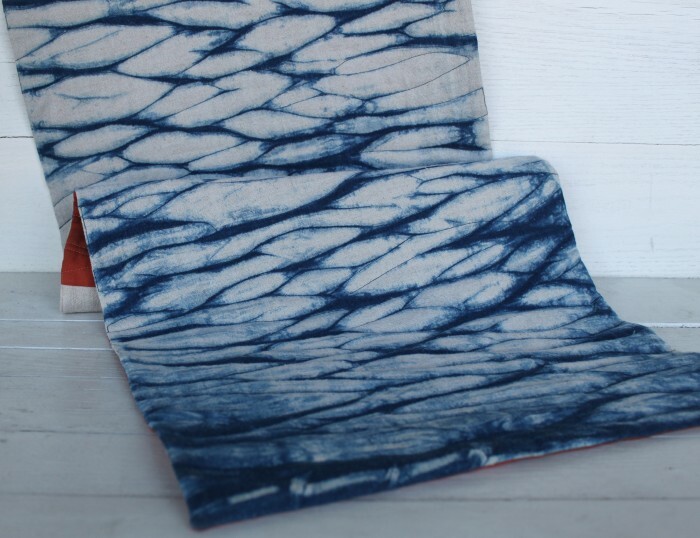 The cotton/linen blend of the second table runner was also Indigo dyed using the Arashi Shibori technique – pole wrapping. This time the fabric was seamed to create a long tube that was then scrunched onto a plastic pipe. A hint of the hand dyed cotton backing is visible in the photo above. To see these two pieces as well as other hand dyed fabrics, come to Quilts at the Creek this weekend and have a look at the Shop ‘Round the Corner. There will be a selection of lovely handcrafted items, so you can start your Christmas shopping early! WOW all so different and beautiful. Love the detail. Thank you, I loved making these pieces. Each one was a happy surprise.